How is the learning experience in the Faculty of Medicine? 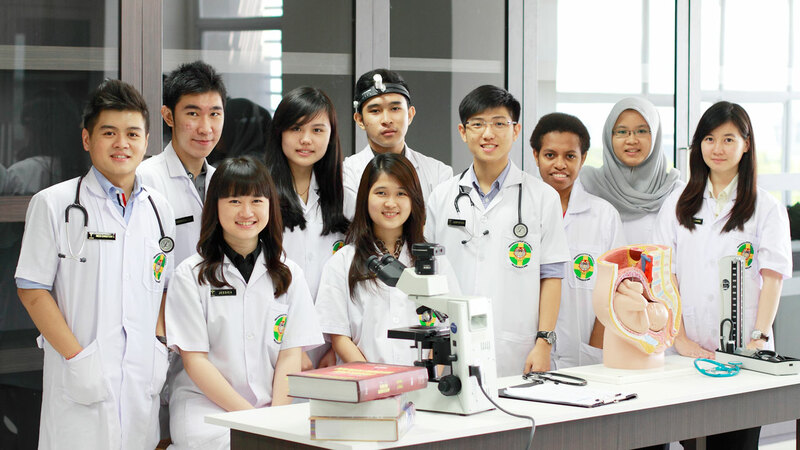 Faculty of Medicine of Widya Mandala Catholic University Surabaya was established with the aim of producing physicians who are religious, virtuous, reliable and professional, and with a great empathy and strong devotion rooted in love. What is taught in the Faculty of Medicine? Medicine is a combination of science and art that deals with diseases and other disorders of the body and/or soul, which includes efforts to promote health, prevention, diagnosis and treatment of diseases, and rehabilitation. Medicine, as a science, systematically teaches the basics of medical science, public health science, and clinical science. Medicine, as a profession, focuses on the application of knowledge, abilities, and expertise on the holistic process of prevention and management of diseases. The Faculty of Medicine has 21 preclinical and clinic departments supported by cooperation agreements with the PHC Hospital Surabaya as hospital of education, and other big hospitals, such as Panti Nirmala Hospital Malang, Menur Surabaya Mental Hospital, Lawang Hospital, Bhayangkara Hospital, and the Health Office of East Java Province and Surabaya City Health Office. 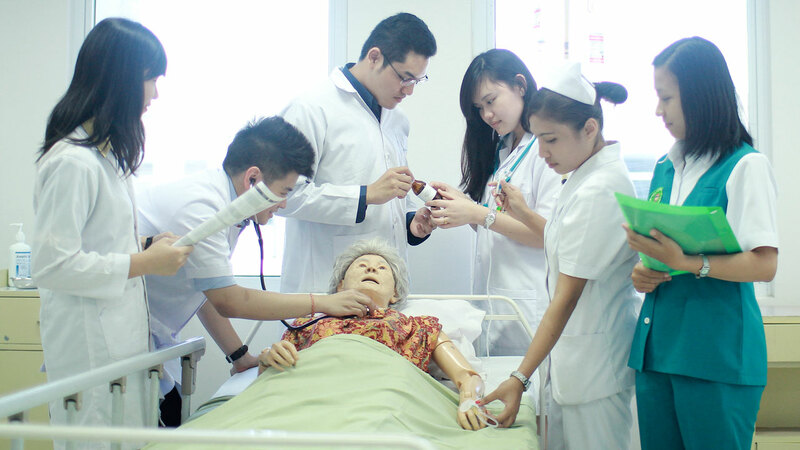 In addition, the Faculty of Medicine of Widya Mandala Catholic University Surabaya also works with Airlangga University’s Faculty of Medicine in Surabaya, Atmajaya University’s Faculty of Medicine in Jakarta, and the Udayana University’s Faculty of Medicine in Bali. 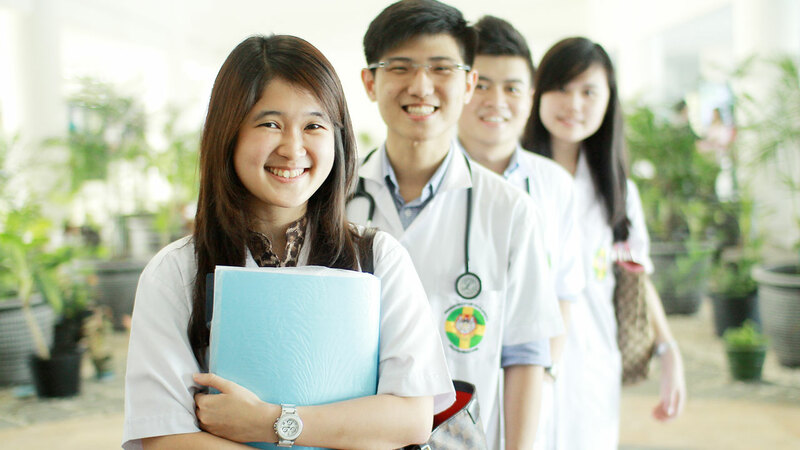 Graduates of the Faculty of Medicine have extensive job opportunities as doctors in hospitals, health centers, health offices, corporations, polyclinics, and as educators in teaching hospitals, both in Indonesia and abroad, or as doctors with private practice. Dr. Benjamin Margono, dr., Sp.P(K-Onko), FCCP. Taufan Harijanto, dr., Sp.B-KBD, FINACS, M.Kes. Epriyanto Tri Darmadi, dr., Sp.Rad. Reno Laksono Edi, dr., Sp.An. Lisa Pangemanan, dr., A, M.Kes. Bernadette Dian Novita, dr., M.Ked. Pauline Meryana, dr., Sp.S, M.Kes. Lukas Slamet Rihadi, dr., MS., QIA. A. Liona Dewi, dr., M.Kes. Prettysun Ang Mellow, dr., Sp.PD.